Champions!! 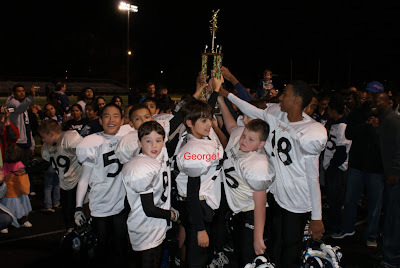 My son's football team won 25 - 14 during a nail bitter of a game. Honestly, I was nervous until about the last minute of the game. Crazy, but fun! This summer I was in a card board craze and I found this left over piece, flattened it several times through my big shot, and it worked perfectly...do you see the Vintage Santa (text and snowflakes) again in this card?! I tell you, it's a "must have" set!! And now I'll leave you one more photo of my little guy in action. Have a super week! The card is adorable! And Congrats to your son and his team! I love the stamps that you used and the colors, great card! Love the postcard! Congratulations on your son's winning game, they look so excited! Wonderful post card creation! Great job on the challenge. So happy you could play along with us this week at the OCC. Congrats to your son's team on the big win! Hi Chris :) Congratulations to your son and the team!! Your post card is so pretty, I LOVE the colors and snowflakes. Thanks for playing along with us over at Our Creative Corner!